Kedarnath to release nationwide on the 21st December 2018 ! KriArj Entertainment is on a roll with the production house bankrolling some of the biggest films in 2018. First up is Padman with Akshay Kumar in collaboration with Mrs.Funnybones ( 26th January) , followed by Pari with Anushka Sharma ( 9th February), Parmanu with John Abraham (23rd February) and Fanney Khan starring Aishwarya Rai Bachchan ,Anil Kapoor and Rajkummar Rao ,which is tentatively scheduled to release in June 2018. This exciting slate is just the first quarter of the year as KriArj Entertainment next moves on to Batti Gul Meter Chaalu , reuniting with Toilet: Ek Prem Katha director Shree Narayan Singh for the Shahid Kapoor starrer ,which will release somewhere in September 2018. Next on the cards in the second quarter is Vishal Bharadwaj’s fiction thriller starring Deepika Padukone and Irfaan Khan ( 2nd October) and closing the year with a bang is Kedarnath , which will now release nationwide on the 21st December 2018. KriArj Entertainment is associated with strong content and interesting subjects that not only provide great entertainment value but are also socially relevant. Releasing Kedarnath on the 21st December was a stratergic call taken by the production house owing to the long holiday weekend. Says producer Arjun N Kapoor of KriArj , ” Kedarnath is a very special film for KriArj Entertainment and something we are really excited about. It is our tribute to Lord Shiva as it is an intense love story born in Kedarnath. Kedarnath is fondly known as the shelter place of Lord Shiva and this beautiful story unfolds against this picturesque background. 21st December offers us a long run at the box office with the Christmas and New Year holidays. Apart from a successful partnership between Abhishek Kapoor and Sushant Singh Rajput , the film also marks Sara Ali Khan’s debut and releasing the film during this period ,will give her the launch platform she deserves”. 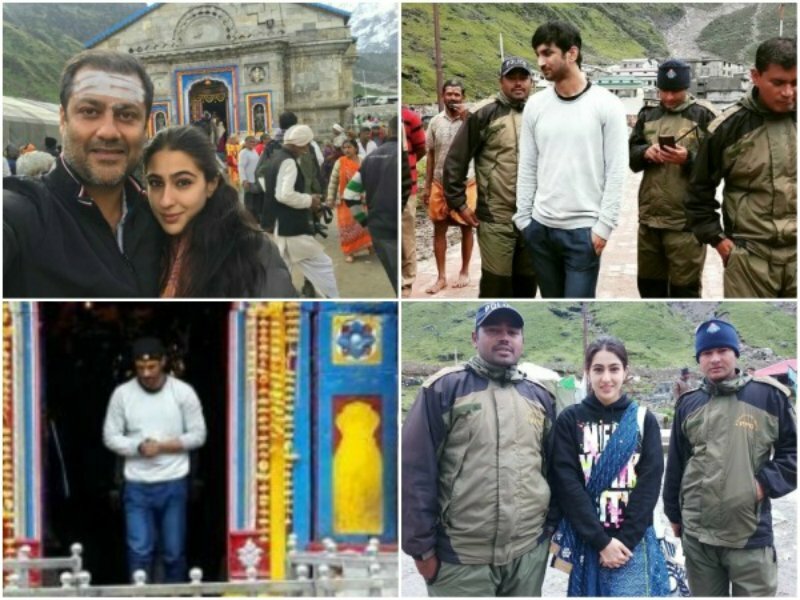 Abhishek Kapoor’s Kedarnath ,produced by KriArj Entertainment ,who have partnered with T-Series , will hit theatre screens nationwide on the 21st December 2018. Lottery Tickets and a tiger; Fukrey Returns with a déjà- Choo!